Need for exploiting a higher performance out of an already designed engine due to the high costs of redesign and manufacturing new engines, makes the engineers evaluate the consequences of the engine upgrade. In the current paper, the effect of increasing power over the piston of a diesel engine was investigated. The power increase was implemented introducing higher speed and higher combustion gas pressure in the engine. Dynamic analysis of the crank and slider mechanism was analytically studied to extract the loads inserted on the powertrain over each crank angle in varied engine speeds. Then, thermal analysis was performed to obtain the temperature distribution over the piston. Applying loadings over the piston, the stress state of the piston was obtained over all crank angles at different engine speeds. Subsequently, the damage and high-cycle fatigue life of the component were predicted using a standard stress-life analysis at elevated temperature, and the results were compared to the original base engine. It was found that the number of critical areas for the upgraded engine is more than the base engine due to higher loads. The critical areas for the base engine are located in the lower ring groove, while the gudgeon pin hole was also detected as the other critical location for upgraded engine. Moreover, the results showed that by upgrading the engines power, the applied maximum stress will increase by 50% which leads to a decrease of 4000 times in the life of the piston. This high ratio of the life reduction was related to the decrease in piston materials fatigue strength in higher temperature in addition to a higher stress state. 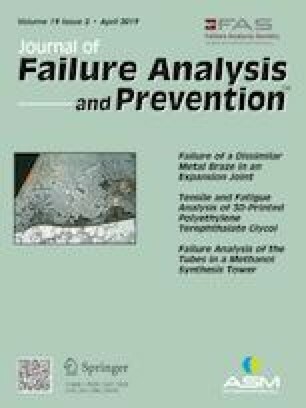 M. Mohajeri, B. Haghgouyan, H. Castaneda, D. C Lagoudas, Nickel titanium alloy failure analysis under thermal cycling and mechanical loading: a preliminary study. arXiv preprint arXiv:1803.01110, 2018. R.H. Thring, Engine friction modeling, SAE Technical Paper 920482, 1992. https://doi.org/10.4271/920482.